Oak Point is a design studio-based practice, in which the in-house architectural design and engineering disciplines work together in studio teams from the very beginning of a project to ensure the greatest amount of cross-pollination. Arcadia Designworks offer architecture, product design and planning services. We have an interest in smart and beautiful design for real living and working. When possible and appropriate, we weave local resources into our projects which may include recycling and re-purposing material from both architecture and manufacturing surpluses. Full service architectural design firm. Established in 2002, CJ Architects is a creative, efficient, and highly productive firm dedicated to client service. Our clients are as diverse as our architecture, and we enjoy the unique challenges and opportunities presented by each one. We are committed to our philosophy: Design to enhance the quality of life, optimize the surrounding environment, and utilize the latest technologies to increase efficiency. We understand the success of a truly innovative design lies in practical application and attention to detail. We have extensive experience in mixed-used commercial, office and retail tenant fit-up, adaptive re-use, historic preservation, and all forms of housing including student, multi-family, active adult, and workforce. Our custom residential projects range from historic downtown bungalows to oceanfront estates with budgets exceeding 4 million. Market Square Architects PLLC was established by Adam Wagner AIA and Robert Harbeson AIA, with a focus on providing great value to every client we serve. Located in the heart of Portsmouth, NH we manage projects across the region. Our primary role on every project is to understand your vision, capture that in the design and deliver on expectations. William Ross Design is a small architectural design firm that has been established here on the Seacoast Since 1991. T|W Designs is a spirited, enthusiastic, professional integrated Design | Build firm, established in 2001, founded on the principles that true architecture must first function to sustain a value. Studio of Authorial Interior design is a team of specialists of design, engineering and realistic 3D visualization of interiors. Philosophy Much of our philosophy grew out of the House Call, which Wendy developed in 2004. The House Call is on-site interactive design, which includes the home or business owner in the design process. While the House Call is now a small part of our practice, the inclusion of the client in the design process continues to be a cornerstone of our work. Whether in our studio or via on-line meetings, we prefer to do design and design changes with you, not at you. It's all about empowering you as the owner to set the priorities and to understand the reasoning behind recommendations. 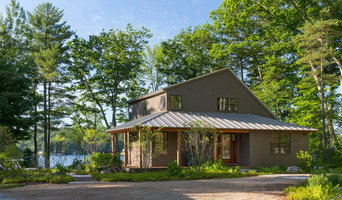 Harvey Wells received his architectural degree from Stanford University and has been practicing in the State of Maine as a licensed architect out of his office in Kennebunk since 1984. 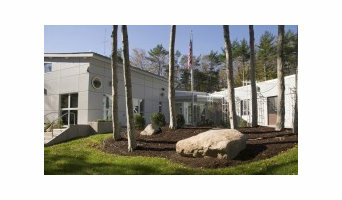 The office specializes in residential, light commercial and municipal projects, including additions and renovation work. The office is familiar with local, State and National codes and provides services in securing permits from local boards, State DEP and from the State Fire Marshal for life safety and barrier free requirements. John established his first firm in April 1995 after having worked in a medium sized Portland area firm for eight years. Since then he has worked on numerous projects, mostly in the Southern Maine area. 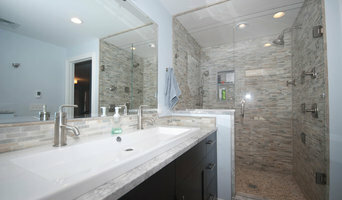 His work is mainly in residential design, with small commercial projects and ADA work. Working in the Kennebunk area, since 1995, he has developed numerous relationships with General Contractors, sub-contractors and Code Officials. 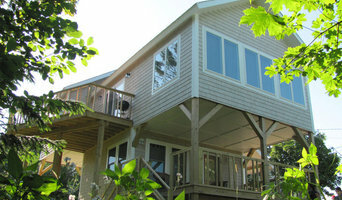 His construction drawings are clear and easily read by the building professionals. John graduated from Colby College, Waterville, Maine with a B.A. in Admistrative Science before receiving his Masters of Architecture from Carnegie-Mellon University, Pittsburgh, Pennsylvania. He is currently a Registered Architect in the States of Maine and New Hamphsire, and he holds a National Council of Achitectural Registration Boards (NCARB) certificate. We are a small New England architectural firm located on the coast of Maine actively involved in a wide range of different project types. While our size may be small we have a large portfolio of work and what follows is a portion of what we have done. The following are examples of the types of projects we have been privileged to be involved with over the years. As you look through what we have done we encourage you to contact us and begin discussions with us for your next project.